The Galatian Double Vanity is a triumph of modern beauty and practicality, perfectly suited for an ultra-modern bathroom. 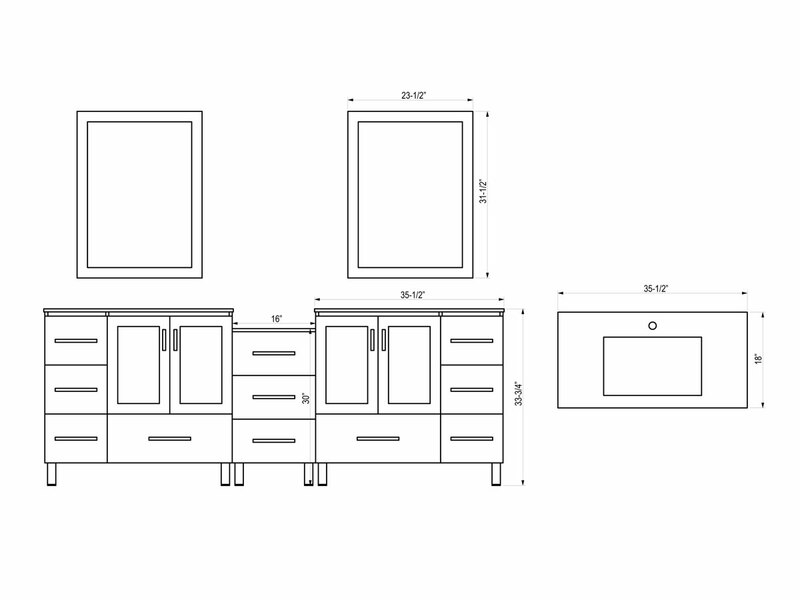 It has clean lines created by its simple geometry, integrated sink and counter top and simple drawer handles. The espresso finish is wonderfully contrasted by the satin nickel hardware and porcelain counter top. The vanity boasts eleven drawers and two cabinets, providing more than enough storage space for all of your bathroom accessories. 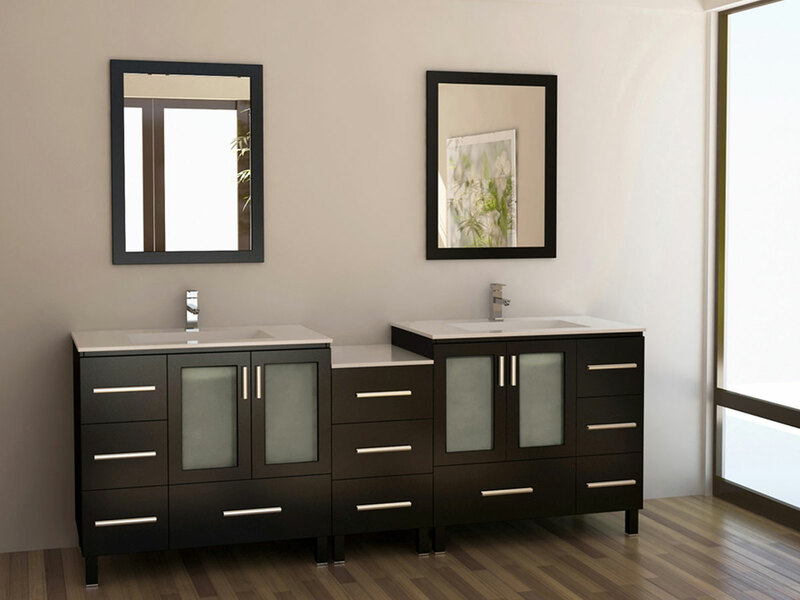 Two matching framed mirrors are included with the vanity, completing this beautiful vanity set.